We at KR Mangalam motivate students to pursue their dreams and the paths less trodden rather than following the herd. 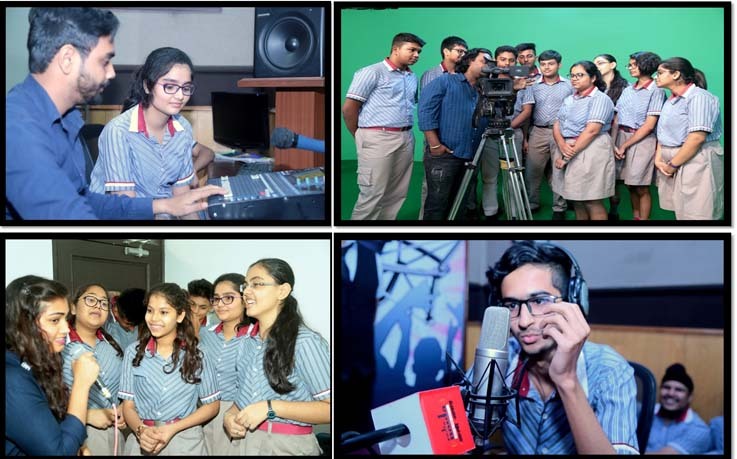 One such exposure was given to classes XI and XII who were taken to Marwah Studios – Film City to explore the careers under media and communication. Under the guidance of the Associate Dean, Mr. Vikas a ‘Bollywood Tour’ was organized by AAFT (Asian Academy of Film & Television) where the students were exposed to the careers of film making, radio jockey, vocalists, instrumentalists, acting and stage performances. The students received hands – on experience and knowledge about the fields considered to be challenging. The marketing team of the institute motivated the students to follow the passion as having keen interest, aptitude and passion for your job becomes a requisite for a successful career and puts perfection in work. The experience was enjoyed and appreciated by the students.